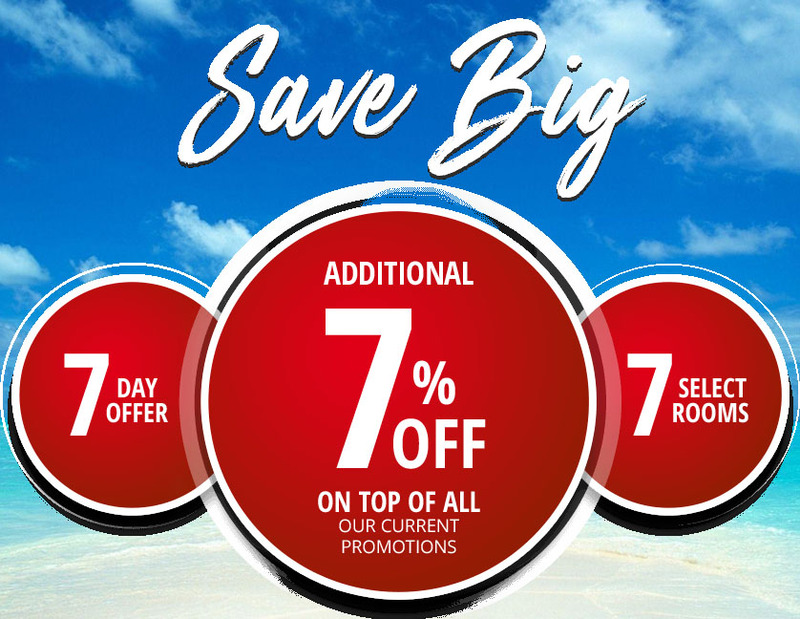 For 7 days take advantage of an additional 7% on top of all our current promotions in 7 select rooms! New rooms offered every 7 days. DON'T MISS OUT! Click below to see this weeks available 7 rooms. 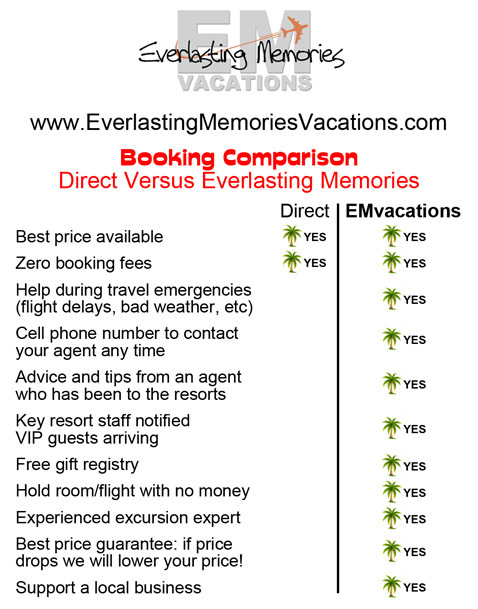 If you book online please e-mail Maria@EMvacations.com with your booking number so we can service your account and add you to our "best price guarantee watch list"
Everlasting Memories Vacations takes great pride in our Sandals best price guarantee. If at any time you find a better price (we don’t think you will) we will match or beat it. Unlike many other agencies, we will even match the price AFTER you reserve your vacation. So if you find a better price 6 months after you book we guarantee to match the price. No one will pay less than you! 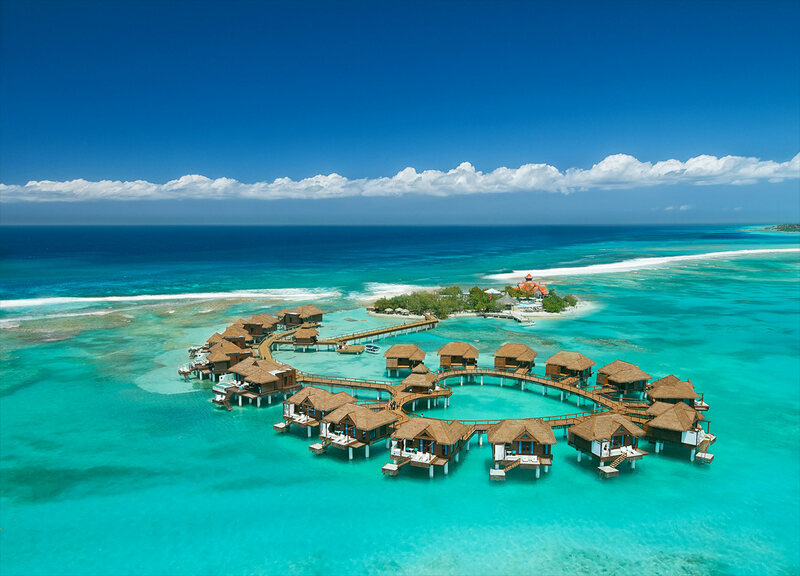 Everlasting Memories Vacations – Sandals Chairman’s Royal Club Agency – Sandals Highest Agent Honor. Let us help you find the perfect resort! NOTE: Your contact information will only be used for us to respond to your request. We do not add you to any e-mail list or share your contact information with anyone else. Why book with Everlasting Memories? Low Price Guarantee: If the price drops after you book we will get your price lowered. 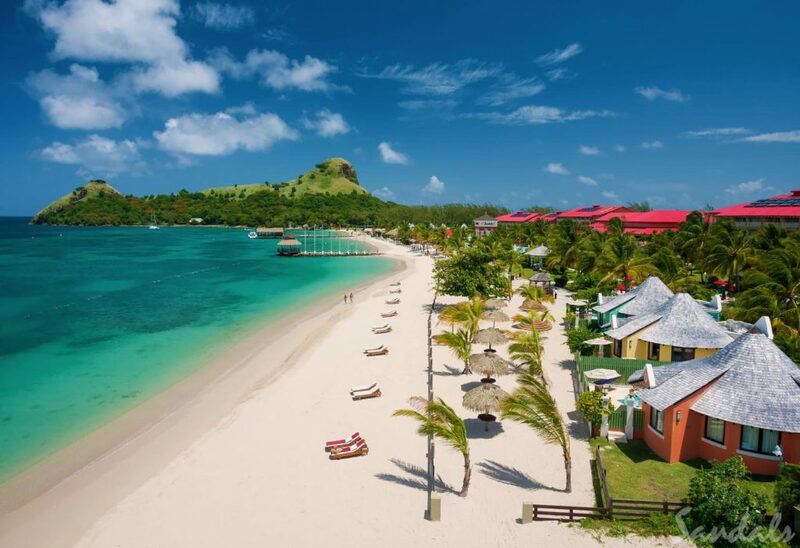 We have been to every Sandals resort multiple times and will make sure you pick the best resort / room for your personality and budget. We personally know the key resort staff and managers of each resort and make sure they know you are a VIP celebrating your honeymoon/wedding. If you have any travel emergencies (flight delays, illness, bad weather, etc.) we are here to help. We give you our cell phone number to reach us after hours.